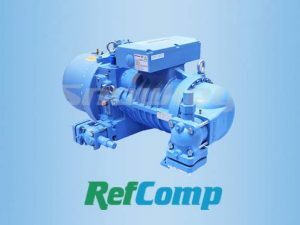 We are an authorized dealer of RefComp SW series semi-hermetic screw compressor for refrigeration made in China, We supply all kinds of RefComp SW series semi-hermetic screw compressor for refrigeration, range from 30 – 240 HP. 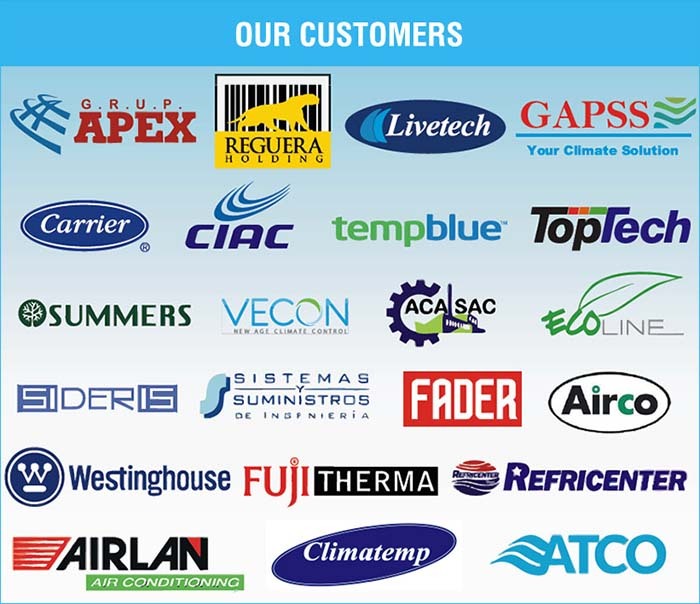 In the past decades, both industrial and commercial refrigeration have undergone massive changes. 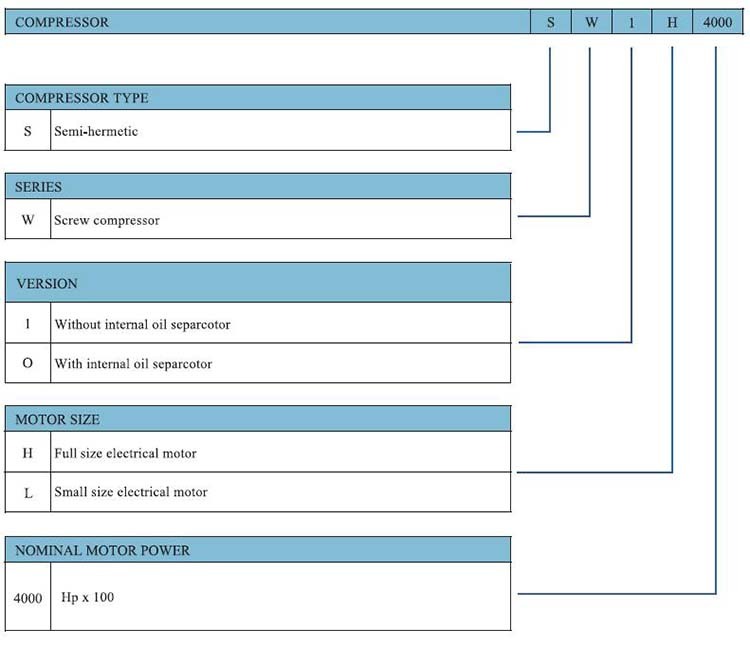 The focus on compressors is no longer limited to reliability and adaptability but will be more about other aspects such as efficiency, noise, easy installation and maintenance. 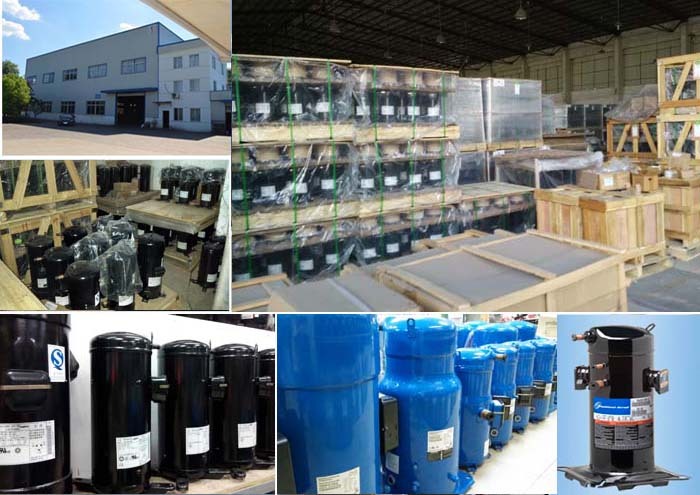 That’s also the direction of our Refcomp refrigeration screw compressors and we will try our best to make it perfect. 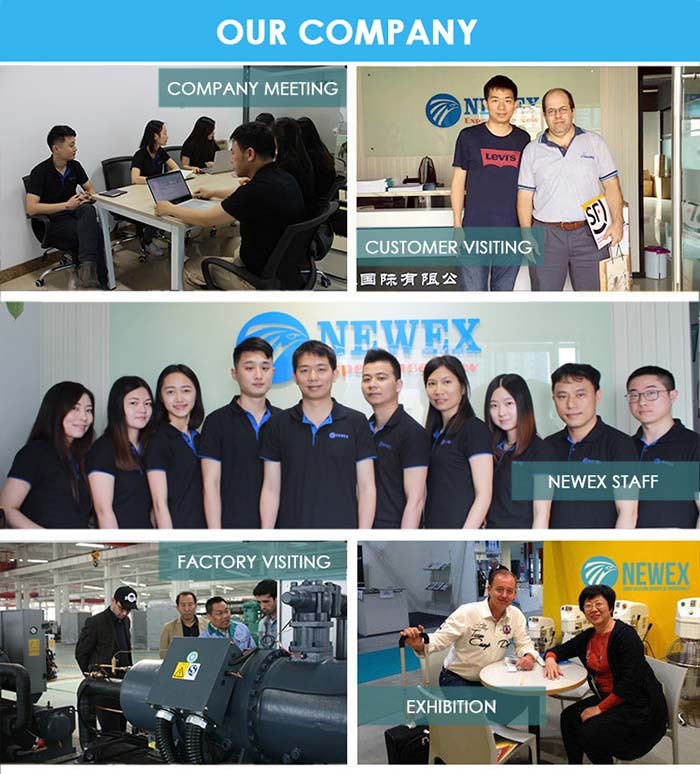 For example, in the field of air conditioners, our compact screw compressors have been widely recognized in the market due to above advantages. 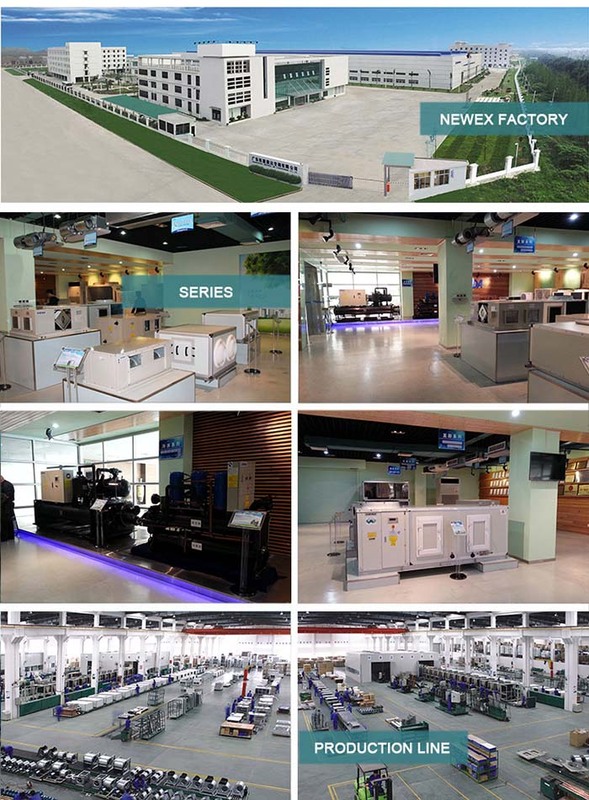 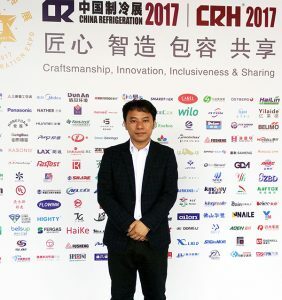 Based on successful R&D experience of the compact compressors, RenComp has developed a full series of semi-hermetic screw compressors, including a refrigeration screw compressor specially designed the refrigeration industry. 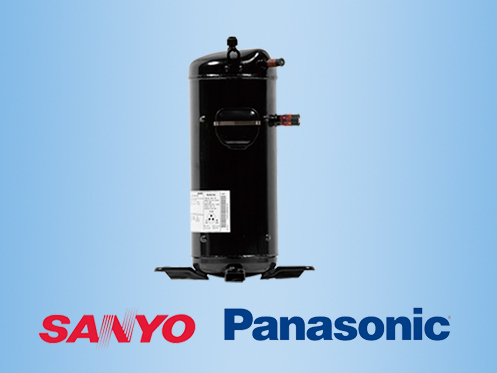 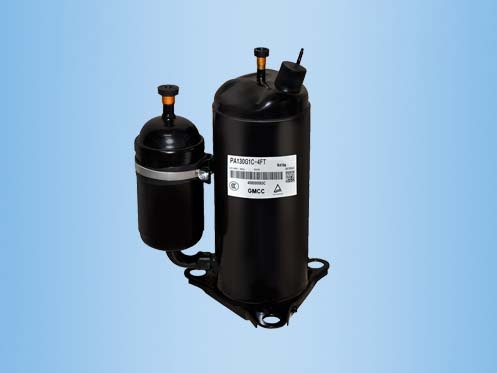 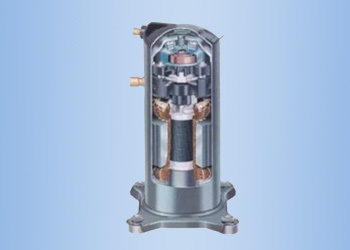 The full series adopts slide valves to regulate refrigerating capacity. 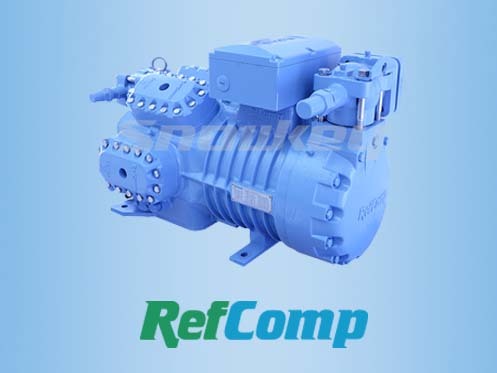 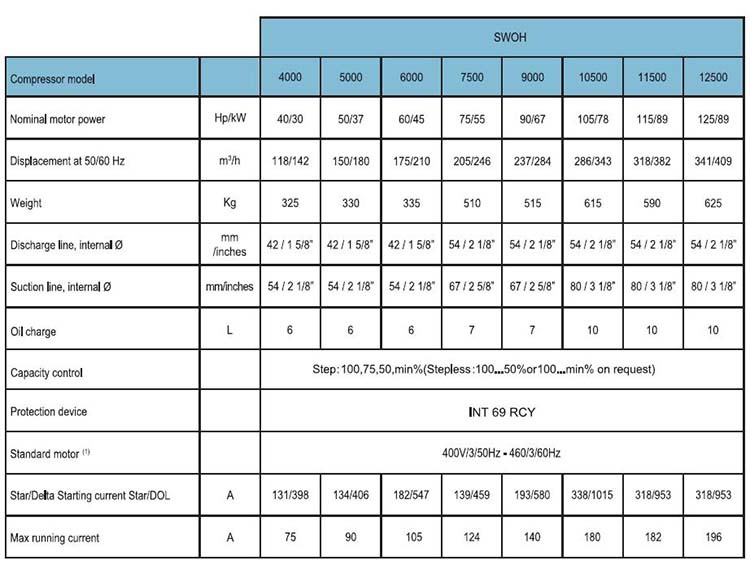 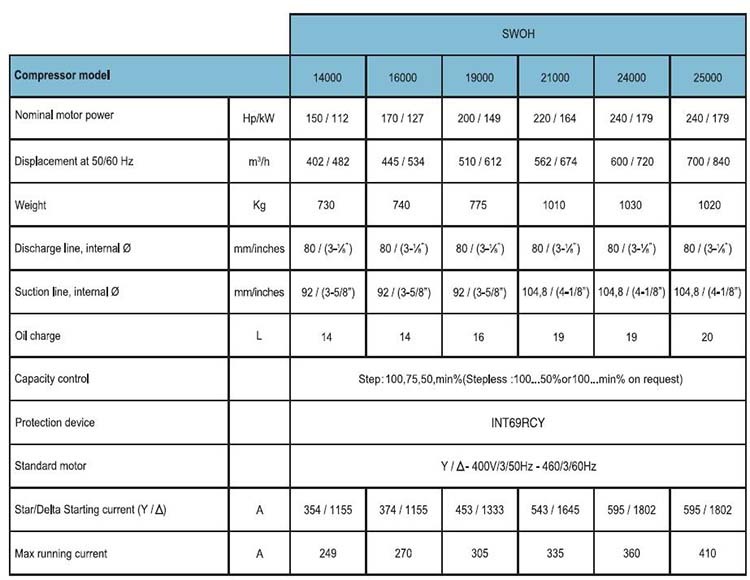 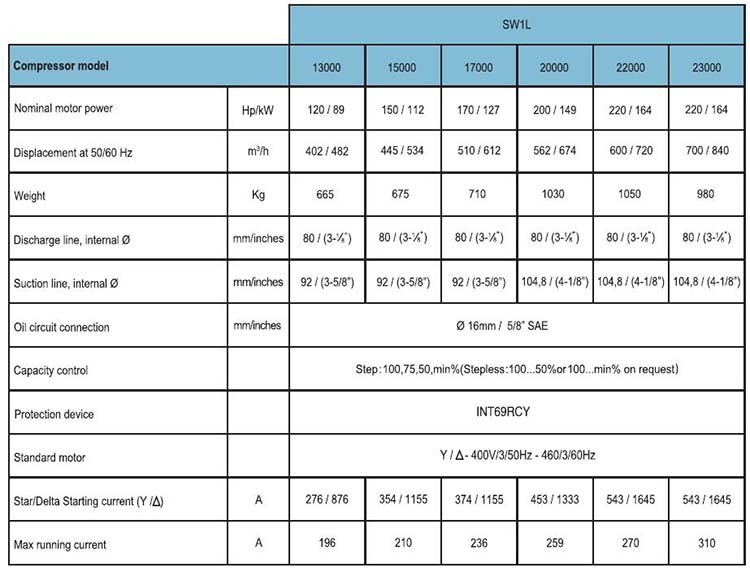 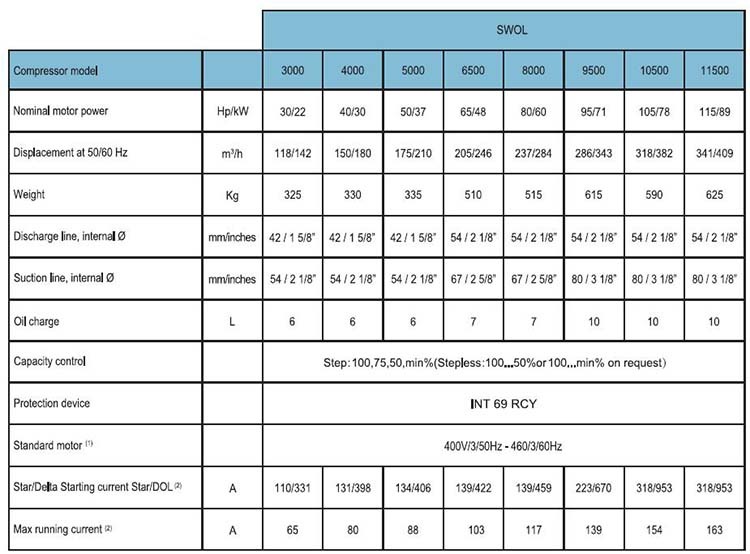 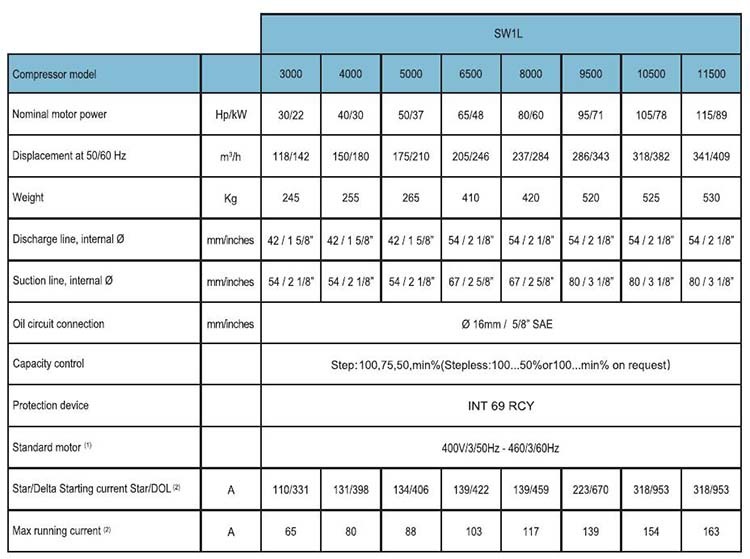 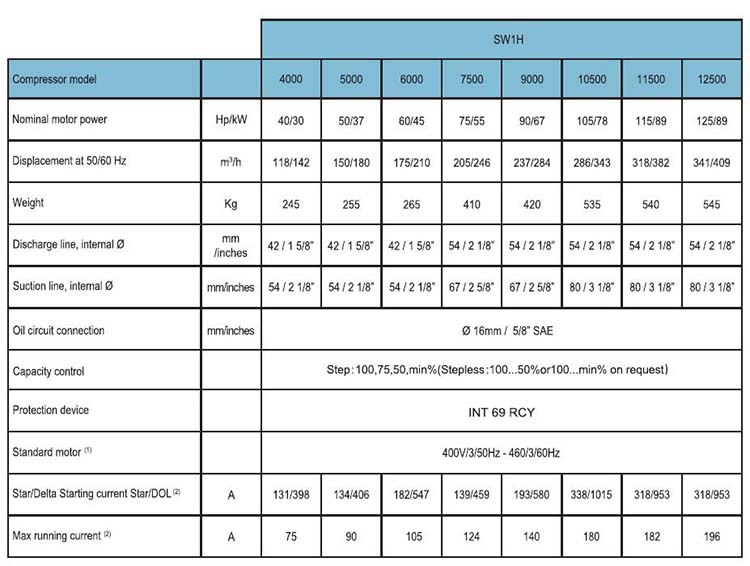 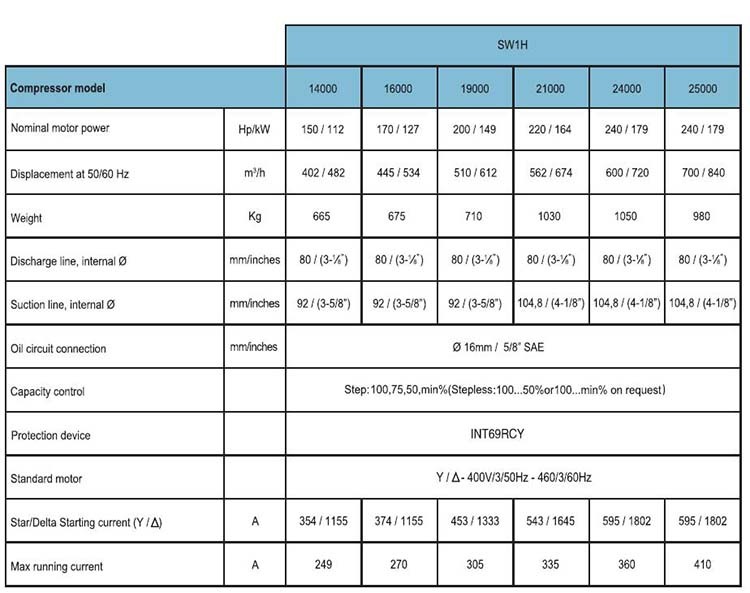 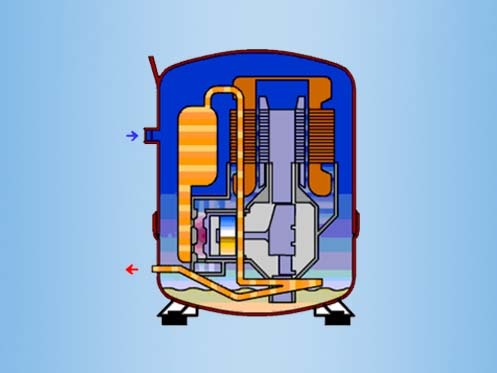 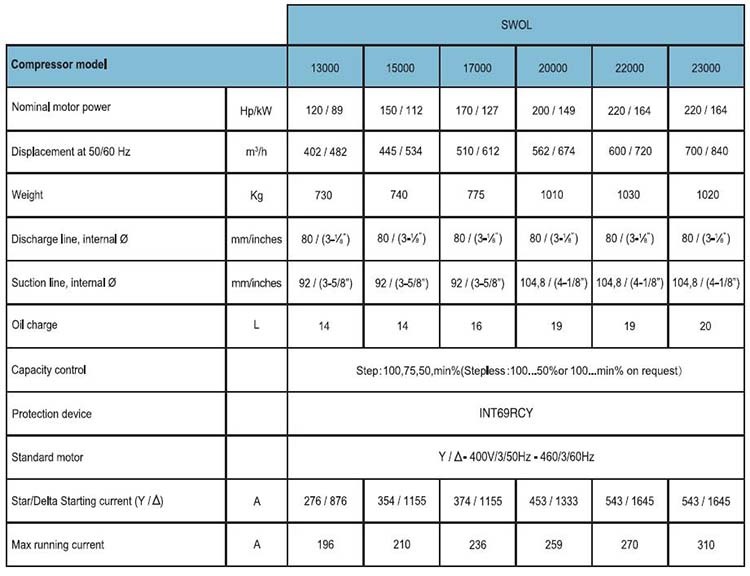 You can Download RefComp SW Series Semi-hermetic Screw Compressor Catalog to get the all models list.